These Deviled Eggs are true classics – creamy and perfectly seasoned with Dijon mustard and finished with smoked paprika. Deviled eggs have become an iconic American dish. They show up on the table around Easter and Thanksgiving without fail. Many people feel like it’s not a party until the eggs come out! Food that is “deviled” simply means food cooked with spices. Usually this means mustard, black pepper or other strong spices. I’m a firm believer in using Dijon mustard for that perfect deviled flavor. Once you have the flavor down, deviled eggs are all about presentation. I always include a few extra yolks to get nice full eggs and I use a piping tip to pipe the filling in. For the grand finale I like to use smoked paprika. It gives the eggs a little something extra. You can also use hot paprika for a bit of pizzazz. 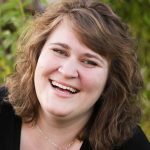 Tools In This Post: I use my Wilton 1 M tip to do all sorts of “fancy” stuff in the kitchen. It makes anybody look like a genius in food presentation. I pair my tip with these disposable bags. Simple prep and simple cleanup. Love “deviled” stuff? 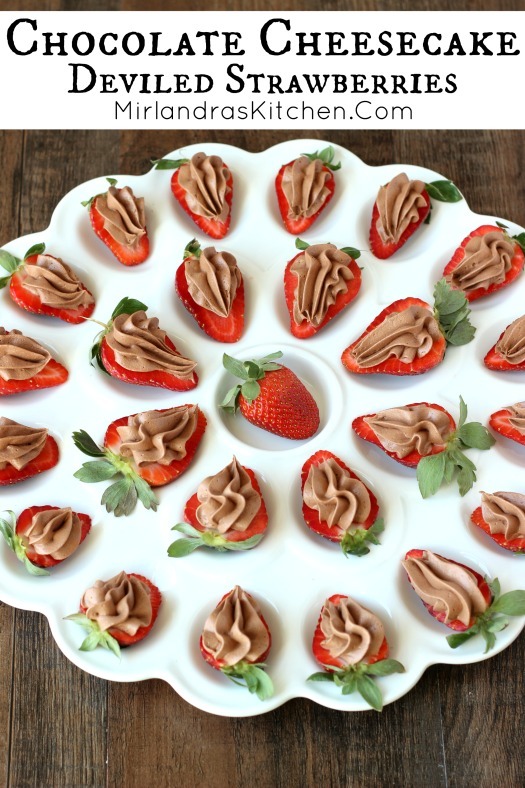 Check out these Chocolate Cheesecake Deviled Strawberries. 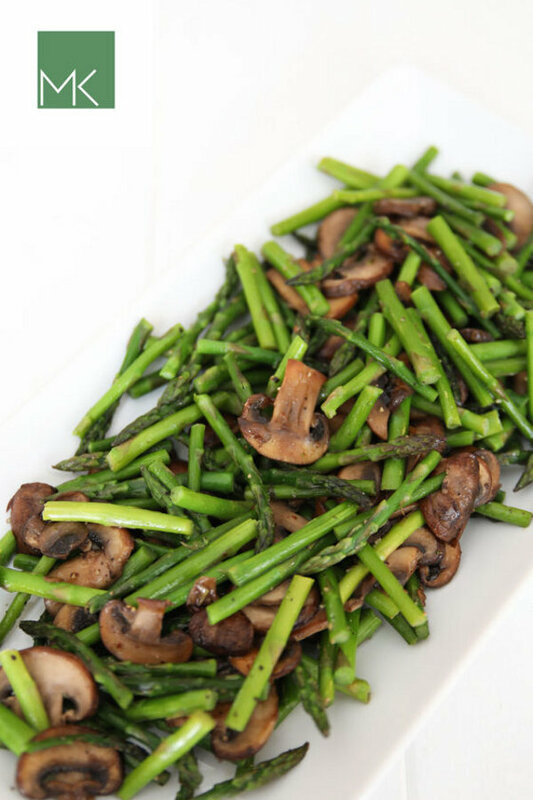 They are easy to make for a crowd and always popular! 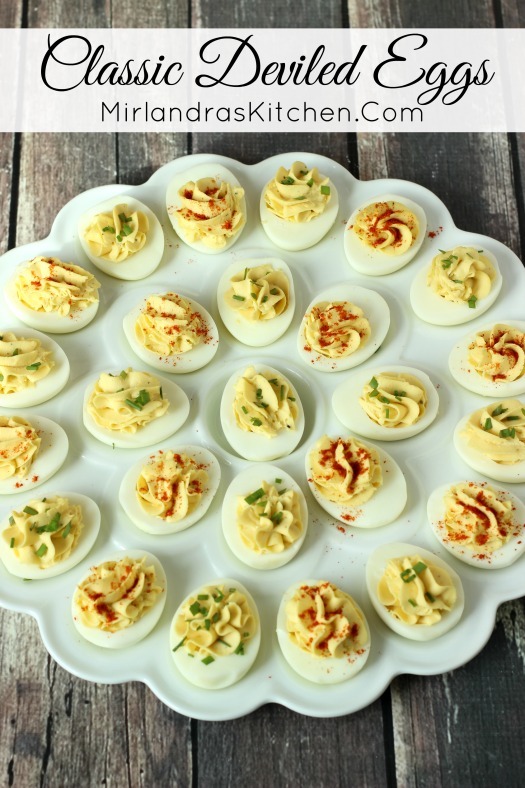 Make Ahead Tip: Deviled eggs taste best the first day the are filled. If you like you can prep the halves and store them in a Ziploc bag and prep the filling and store it separately. Then, when it is time to serve you can fill the eggs, garnish, and serve right away. I like to plan on about 2 halves or 1 egg per person. INSTANT POT: Add about a dozen ice cubes to a large bowl and fill with water. Set aside. Place the eggs in a steamer insert or on the rack that came with your pot. Pour 1 cup of water over the eggs. Put the lid on the Instant Pot in the locked position. Make sure your vent is set to “sealing”. Select “Manual setting” and then “+” to increase the cooking time to 5 minutes on High Pressure. The display will show “on” after a few seconds and then the pot is coming up to pressure. Eventually the display will start counting down showing you how much time is left. When the pot is done cooking flip the vent to the “venting” position to do a quick release. As soon as you can, open the pot and submerge the eggs in the bowl ice water. Peel the eggs when they are cool enough to handle. STOVE TOP: Add about a dozen ice cubes to a large bowl and fill with water. Set aside. Put about 1” of water into the bottom of a large pot. Put a steamer insert, cover the pot and bring the water to a boil over high heat. Add the eggs to the steamer basket, replace the cover on the pot and continue to cook on high for 12 minutes. Immediately place the eggs in the bowl of ice water. Peel the eggs when they are cool enough to handle. Peel the eggs by tapping them gently on the counter until they are cracked in a few places. Then remove the shells, using running cold water as needed to assist. Slice each egg in half from the tip to the bottom. You can wipe the knife on a wet paper towel between each cut if you want to make the eggs extra pretty. Use a spoon to gently remove the yolks into a medium mixing bowl or gently squeeze the eggs to pop out the yokes. 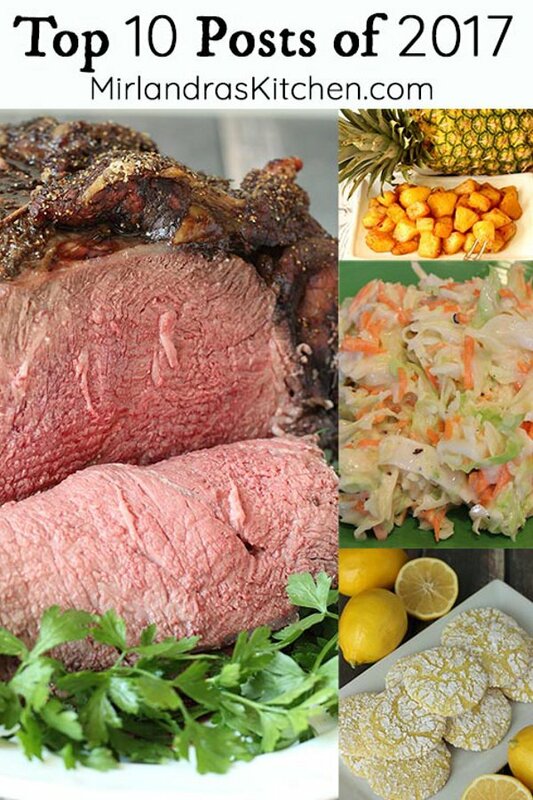 Arrange 24 of the best looking whites on a platter, cut side up. Eat the remaining four or feed to the dog or discard. To the bowl of yolks add the mayo, mustard, black pepper and salt. Use a hand mixer to beat the mixture on high until it is smooth and creamy. Taste and add additional salt and pepper if desired. Transfer the filling to a piping bag fitted with a round tip or a 1 M tip or alternately use a Ziploc bag with the corner cut off. Pipe the filling into the egg whites so each egg is mounded over the top a bit. Of course, you can always use a spoon if you would rather! Refrigerate until ready to serve. Garnish with smoked paprika or chives or both. Leftovers are best the first few days. Using some Miracle Whip helps keep the filling light and fluffy. You can choose to use mayo instead of the Miracle Whip if you desire. 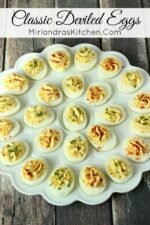 These deviled eggs look amazing! I love them and don’t know why I do not make them more often! You are right we always bring them out for the Holiday’s! Now I have to make them! YUM! I make my deviled eggs the same way using miracle whip like mom did. I do use the whites that don’t look as good on the platter, I just cut it up fine and add to the yolks and mix. That way I don’t waste any extra egg whites. Thanks for your great recipe! That is a lovely idea! I’m curious to try it now. Thanks!